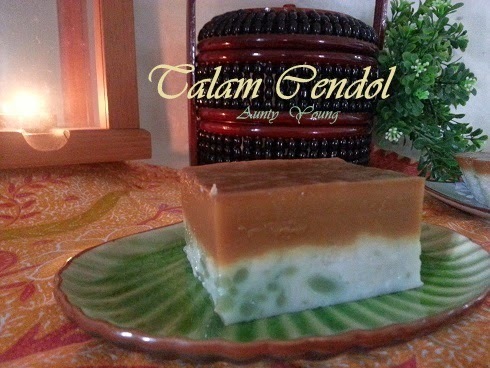 Talam Cendol can be said as the cousin of the original Kuih Talam. Thanks to NaNak, I attempted this kuih for the first time. Since NaNak came back from her Olympiad Maths camp, she asked me to make this kuih for her. Yet being busy with this and that, I ended up leaving this request aside for nearly half a year. 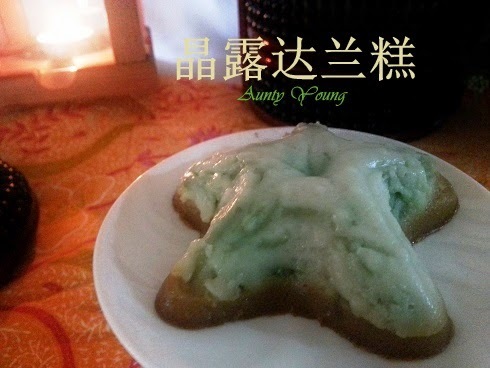 Yesterday, she saw this kuih where we were having breakfast. Once again, she asked me to make her this kuih. So, prodded on by my guilt, I got Google's help and, after an hour of tinkering in the kitchen, finally produced my first batch of Talam Cendol. 1. In a saucepan, add in all the ingredients except the cendol. Place it over the stove at medium low heat and stir constantly with a whisk. 2. Cook the mixture till it thickens, slightly thinner then condense milk consistency. 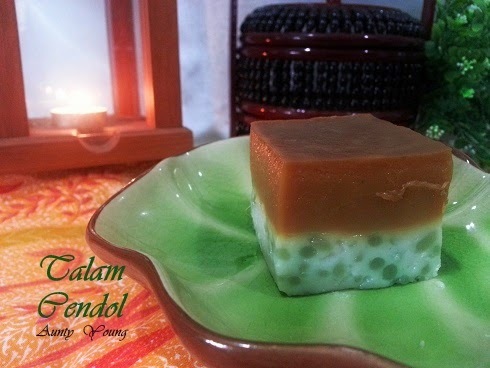 Immediately remove from fire and pour in the drained cendol. Stir well and pour it into a greased prepared square pan. 3. Place the pan into the steamer and steam at medium high heat for about 20 to 25 minutes till it sets. 1. Cook all ingredients A until the gula melaka is completely melted. Leave aside. 2. Mix all ingredients B until well combined. 3. Pour (1) into (2), then sieve the mixture into a pot. 4. Cook the mixture for awhile(don't cook for too long or it might get too concentrated). 5. Pour the mixture onto the bottom layer and steam for another 30 minutes. 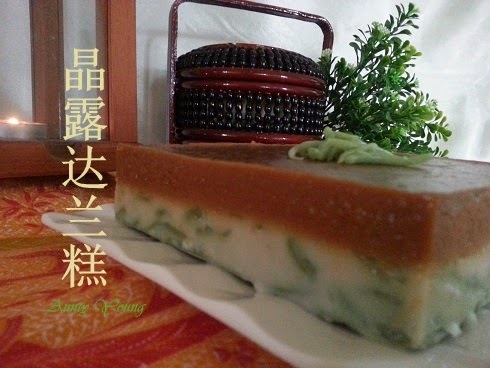 A layer of sweet and thick Gula Melaka, combined with a layer of aromatic coconut milk and cendol. The end result? 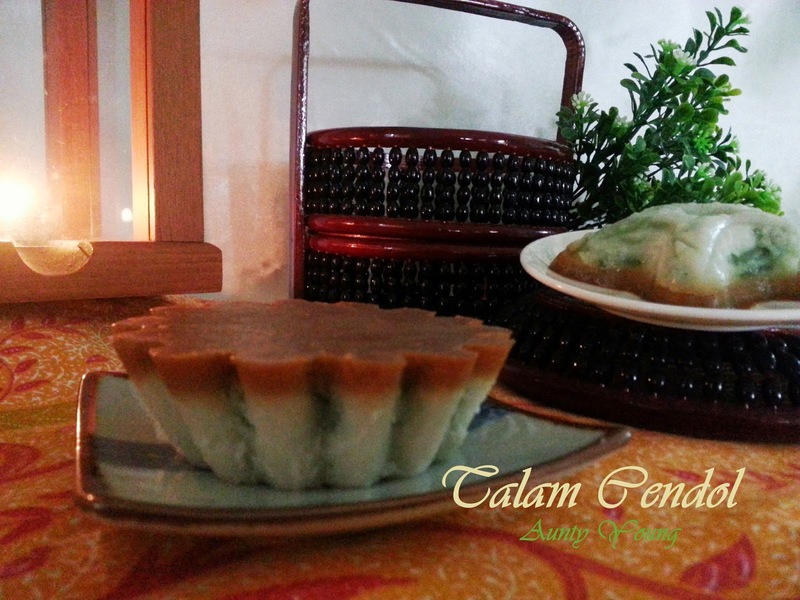 A superbly delicious kuih that is every bit as special as it's cousin, the Kuih Talam! I have not tried this kuih before, am sure it taste nice. No time to make kuih nowadays, can belanja me for pieces? 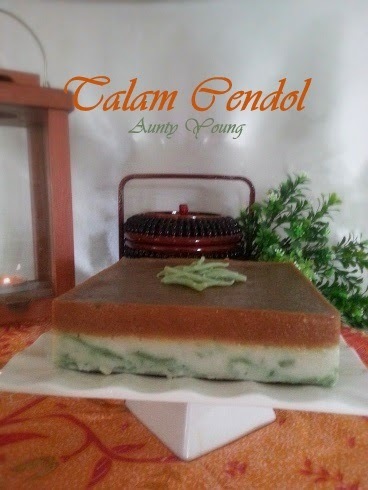 Hi Aunty Young, I love Cendol with coconut milk/palm sugar. 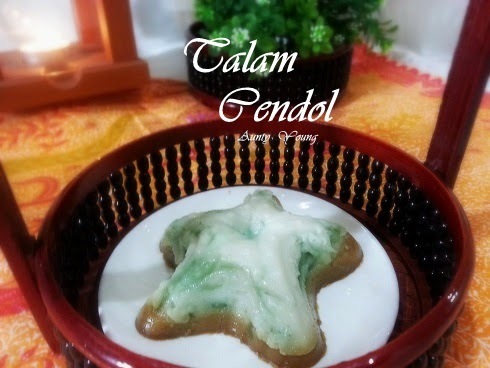 This cendol kuih talam would be nice when chilled.